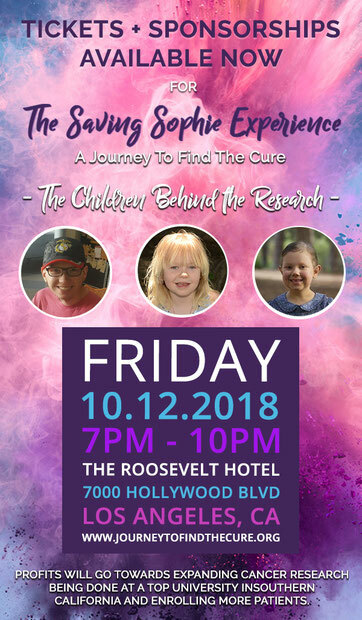 The Saving Sophie Experience - A Journey To Find The cure is a large-scale fundraiser produced by the Saving Sophie organization in Los Angeles, California. Profits will go towards expanding cancer research and enrolling more patients! Join us and celebrate our new venture as we embark on clinical research at a top university in southern California. Party-goers will have a meet and greet with Sophie herself, pow wow with celebrities, enjoy cocktails, hors-d'oeuvres, and great music alongside a special program. 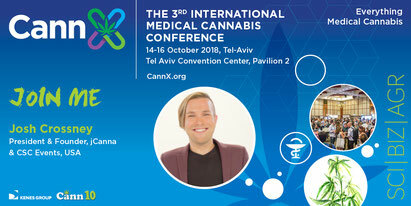 The 3rd International Medical Cannabis Conference, will be the central meeting point where global leaders in all areas of Medical Cannabis spend two exciting days exploring the latest scientific/clinical research, agricultural practices and innovation, and business opportunities in medical cannabis. CannX offers you global knowledge, Cann10’s unique experience and unparalleled networking opportunities. Our President & Founder, Joshua Crossney will be giving a presentation on cannabis testing on Tuesday, October 16th.